Is the Large Magellanic Cloud contained in the Milky Way? From a distance of 160,000 light years, the Large Magellanic Cloud looks at first glance like an isolated section of the Milky Way, running across southern Dorado into neighbouring Mensa. Is the Large Magellanic Cloud contained in the Milky Way? I don't think it is, but I'm not entirely sure. The short answer is that the Magellanic clouds are not part of the Milky way; they are satellite galaxies of the Milky way. The image below shows the Andromeda galaxy. Note the small extra galaxies, marked Messier 32 and Messier 110. They are not part of the Andromeda galaxy, but are satellites of it. They would appear like the Magellanic clouds of the Andromeda galaxy. Is the Milky Way Visible from Nebraska? What is the exact position of the Large Magellanic Cloud? How many arms does the Milky Way galaxy have? 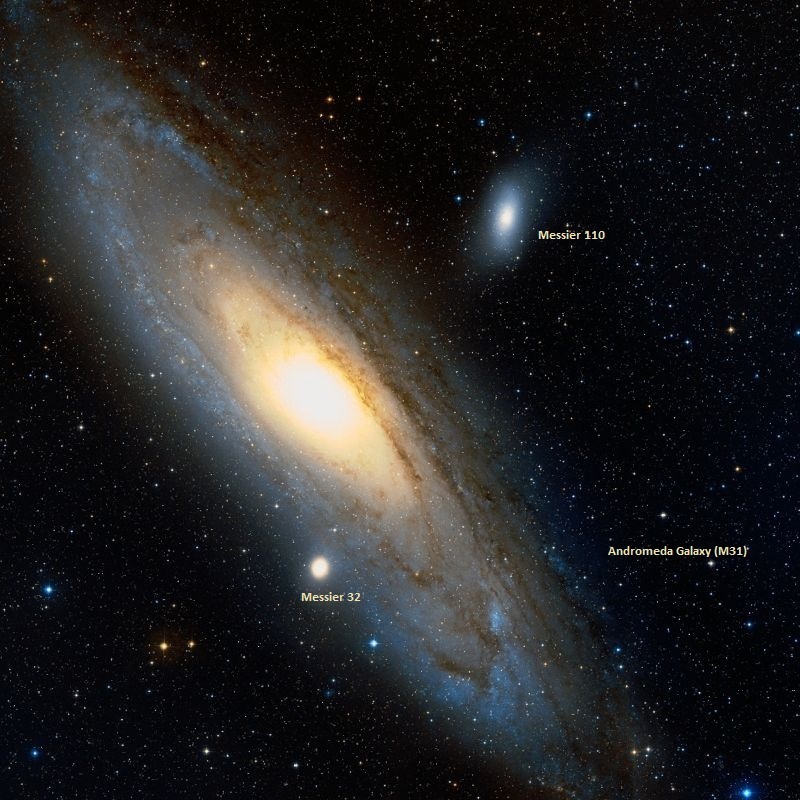 Why won't the Milky Way colliding with Andromeda affect the Solar System? Milky Way, view outward or inward? Can we see the stars the at the edge of the Milkyway?